The topic of leadership has become a buzzword that sounds ideal, but when it comes to defining the concept of good leadership the picture gets a little murky. Leadership can be defined in many ways – from inspiring a vision or cause to motivating others to be proactive with their ideas for the greater good. 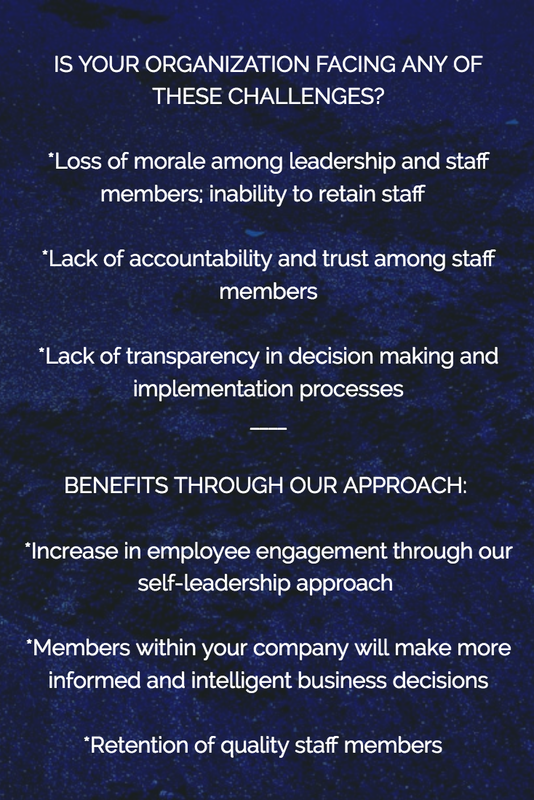 Papilia helps your company redefine leadership in a manner that encourages all organizational levels to be their best self in professional and personal settings. Mindful leadership is a powerful concept that can transform how you lead yourself and your teams. We will combine an array of enlightening topics to empower you to be the effective and confident leader that you envision yourself to be. Some topics include but are not limited to: self-awareness, cross cultural understanding, overcoming barriers to fear, and how to influence your audience. Upon completion, you will have greater knowledge of how to apply these mindful leadership concepts into your personal and professional life. A self-curated leadership mantra will be crafted before the end of this session. Only 10% of cultural nuances are witnessed by the naked eye. This training focuses on ways to understand your customer’s culture, to help you build confidence, and set you apart from your competition when doing business with a diverse set of cultures. We provide guidance on how to make an impression with global clientele, email/verbal/meeting etiquette, handling negotiations, addressing management challenges, and proper attire. Upon completion of our session(s), your company will be equipped to effectively obtain buy-in and lead diverse teams, develop a diverse portfolio of clientele, and gain the ability to adapt to diverse and unfamiliar situations with confidence. Papilia works with groups and individuals who are first-time supervisors and/or aspiring leaders within your company. Fundamental principles of leadership such as the importance of self-awareness, how to communicate effectively, how to problem-solve and make thoughtful decisions are presented in an interactive manner for substantive discussion. Upon completion of our session(s) each participant will have greater ability to lead with insight, mindfulness, and confidence.